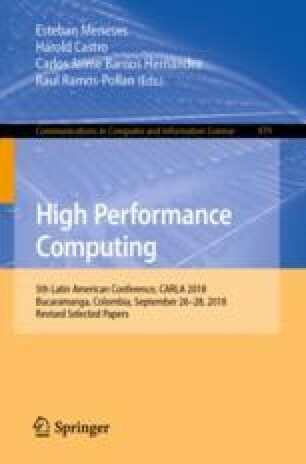 This investigation summarizes a set of executions completed on the supercomputers Stampede at TACC (USA), Helios at IFERC (Japan), and Eagle at PSNC (Poland), with the molecular dynamics solver LAMMPS, compiled for CPUs. A communication-intensive benchmark based on long-distance interactions tackled by the Fast Fourier Transform operator has been selected to test its sensitivity to rather different patterns of tasks location, hence to identify the best way to accomplish further simulations for this family of problems. Weak-scaling tests show that the attained execution time of LAMMPS is closely linked to the cluster topology and this is revealed by the varying time-execution observed in scale up to thousands of MPI tasks involved in the tests. It is noticeable that two clusters exhibit time saving (up to 61% within the parallelization range) when the MPI-task mapping follows a concentration pattern over as few nodes as possible. Besides this result is useful from the user’s standpoint, it may also help to improve the clusters throughput by, for instance, adding live-migration decisions in the scheduling policies in those cases of communication-intensive behaviour detected in characterization tests. Also, it opens a similar output for a more efficient usage of the cluster from the energy consumption point of view. This work was partially funded by the Spanish Ministry of Economy, Industry and Competitiveness project CODEC2 (TIN2015-63562-R) with European Regional Development Fund (ERDF) as well as carried out on computing facilities provided by the CYTED Network RICAP (517RT0529) and Poznań Supercomputing and Networking Center. The support of Marcin Pospieszny, system administrator at PSNC, is gratefully acknowledged.